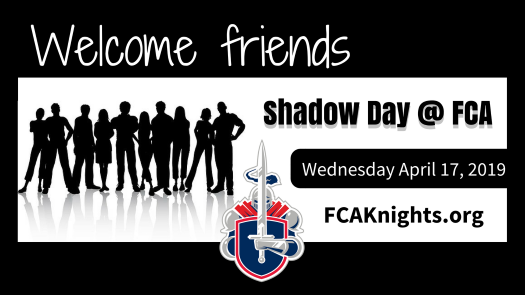 Join US for Shadow Day at FCA! If you were invited by a current FCA student or family, what was their name? © 2019. Fairfield Christian Academy. All Rights Reserved.